Here is a great twist on the classic 'Multiplying Ball' routine. This classic can now be done with golf balls! Designed rough surfaces of the balls make these balls very easy to work with. They appear as a miniature set of golf balls. 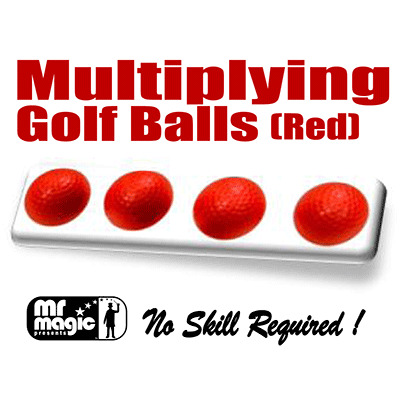 We supply a set of four regular balls and the special gimmick, as required for any classic 'Multiplying Ball' routine.